Arun Jaitley is the man who will have a lot of say in India's development journey! 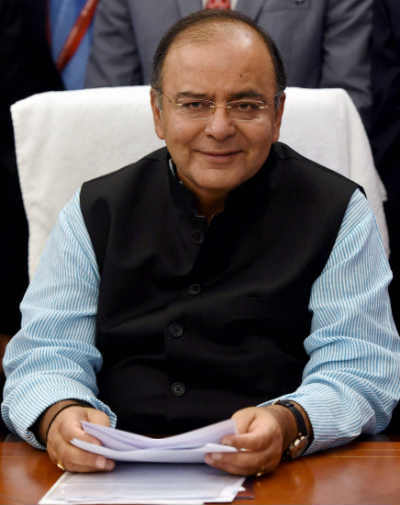 Arun Jaitley – Minister of Finance, Information and Broadcasting and Corporate Affairs, NDA Govt. Jupiter will be aspecting his Sun in Sagittarius, it will also be aspecting his Mars in Aquarius , his Jupiter in the Aries sign, till 11th August, 2016. Ketu will be transiting over his Mars in Aquarius, post 30th January, 2016. Saturn will be transiting over his Mercury in Scorpio, and will be aspecting his Rahu and Venus, during the entire year ahead. Arun Jaitley is into one of the best phases of his life currently, as far as pure politics is concerned, and this Ganesha says because of the transit of Jupiter. But the negative influence of Saturn may create troubles in a subtle manner. He will have to be more cautious and responsible in the functions of his financial department. If not, this may result into great financial problems in the upcoming months and in turn will make people raise questions about his capabilities as the Finance Minister. Though, he may come up with great measures and policies with a longterm view, in which he is sure to receive the the benevolent support of Jupiter, owing to the malefic and delaying effect of Saturn on his Natal Mercury, he may face some setbacks and obstacles. The disruptions of the parliament on various occasions is a probable of effect of the transiting Saturn. He shall bring in various reforms and work towards bringing change in the economic setup of the country and some of the policies will definitely have a long term benefit. He will have great administrative control on the internal departments of the ministries that come under him. He will be able to exercise great influence and control. Moreover, the transit of Saturn over the Natal Mercury will also affect his performance and decisions taken in the ministry of Information and Broadcasting. He won't be able to exercise the same control and influence in this ministry as much as he will be able to do in the Finance Ministry. Problems due to this somewhat soft approach may arise even in the future. On the whole, he would be performing excellently as a financial minister during the year ahead. However, he will have to be alert post 30th January, 2016. He should also be careful about his health related matters during this period. Ganesha foresees great renown coming Jaitley's way in the times to come and he shall emerge as one of Narendra Modi's brightest and well-performing ministers! Ganesha wishes a great time ahead to Arun Jaitley.